When the leaves start to turn colors and temperatures start to drop, it’s time for fall science experiments. Fall science activities are the perfect way to celebrate the turning of the season when it’s too early to do Halloween STEM activities but it’s too late to do back to school STEM activities! Of course, you can also do fall science projects right after Halloween before you do Thanksgiving STEM activities and science experiments. Round out your year of STEM activities with this complete list of science experiments for fall. You may also like these fall STEM challenge cards! 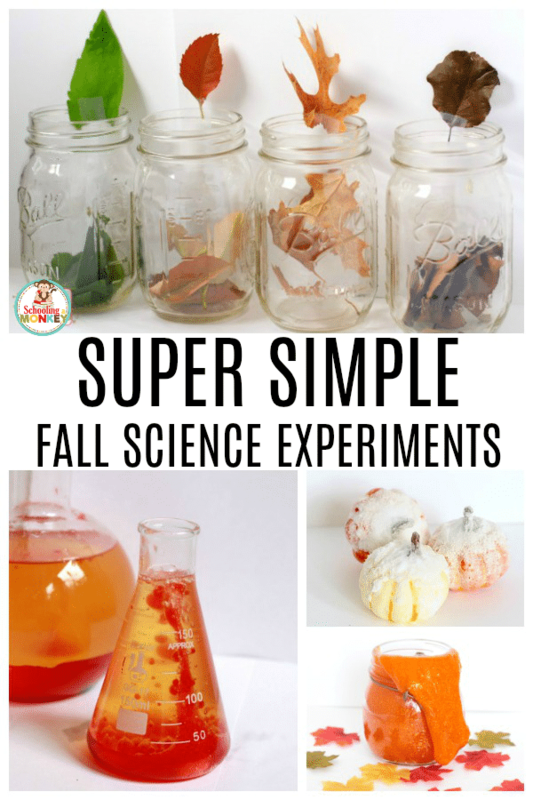 WHAT ARE FALL SCIENCE EXPERIMENTS? 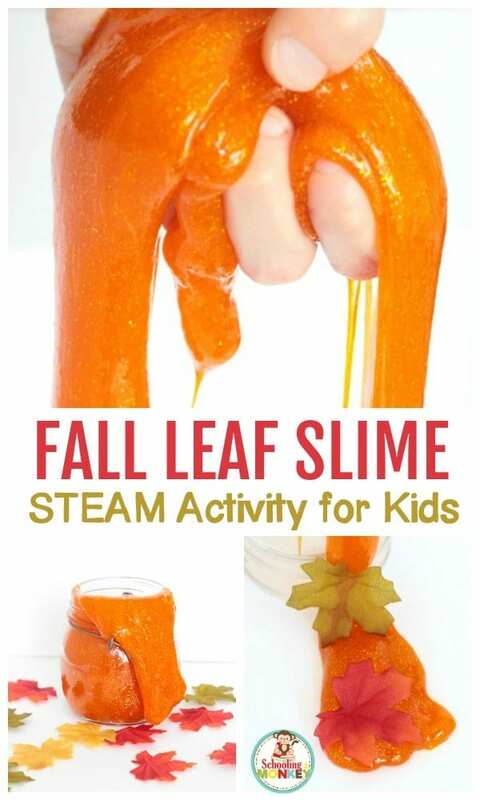 A fall science experiment is no different from any other science experiment, except that a fall theme is used when exploring the science experiment. A science experiment for fall includes fall themes, like apples, pumpkins, acorns, corn, cranberries, leaves, hay, and other staples of fall. 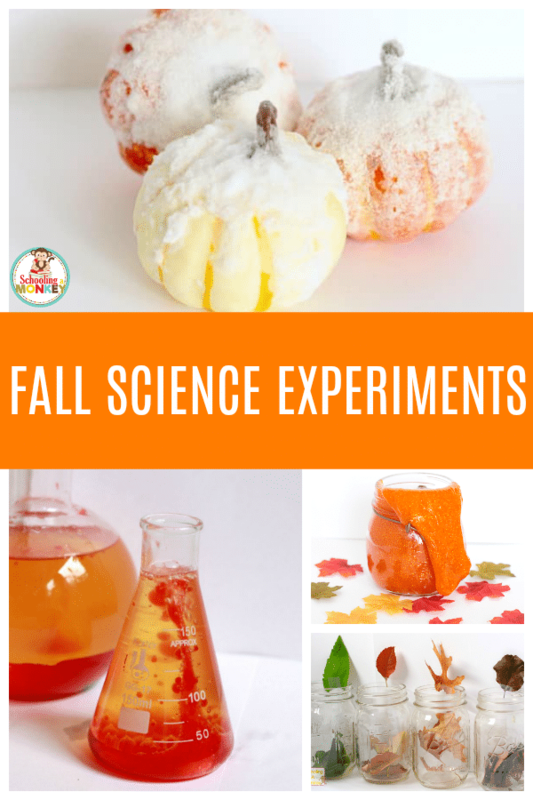 Many common science experiments can be done with a fall twist, simply by changing the colors of the experiment, adding fall elements instead of the traditional science elements, or by using fall themes to illustrate each scientific concept. Fall science activities are just as easy to do in the classroom as at home, and both science teachers and parents and grandparents can have fun with science using fall themes. 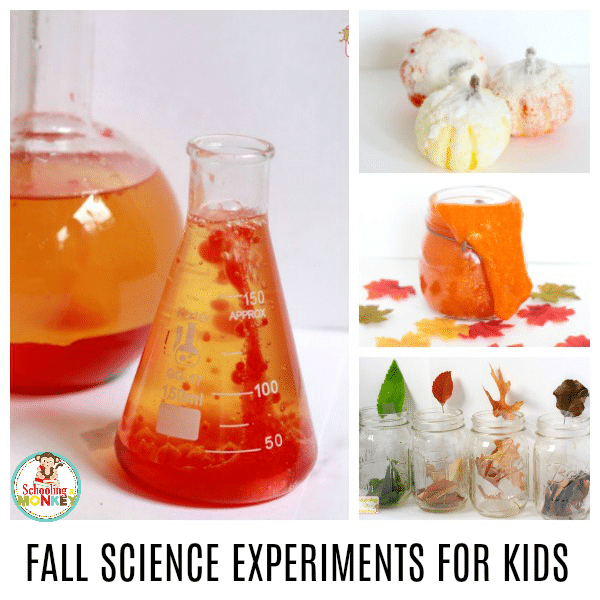 WHY DO SCIENCE EXPERIMENTS FOR FALL WITH KIDS? There are a lot of reasons to keep science experiments topical. One of the biggest reasons is that during the fall, you have access to fall-like materials, including leaves, acorns, pinecones, candy corn, and other commonly used supplies for fall science experiments. It’s easier to do these fall science experiments when the supplies are easier to get. Additionally, kids are more interested in science when it’s relatebale to them. A lot of science experiments can get theoretical, which may make the concepts difficult for children to grasp. When normal themes are brought into the mix, kids are better able to grasp how and why science concepts work, which makes them score higher on science tests and exams. If you’re not organized when you teach a hands-on science experiment, kids will get off track quickly, and you may never regain control of that class. To prevent this, make sure you have everything laid out for each group of kids ahead of time, so that there is minimal distribution and clean-up time. In a group setting, it will be harder for kids to record their data. If you use a science worksheet ( we have a free one), then kids will easily be able to keep track of their progress and thoughts without you having to hold their hands every step of the way. Kids love to poke holes in adults’ words, so make sure you know everything there is to know about the topic before presenting it to the group. The longer you spend explaining the project, the more kids will get bored and lost. Explain the science quickly and simply so the children understand before they get bored. Things always take longer in a group. Usually, adding additional kids will double the expected experiment time, so be prepared for that. 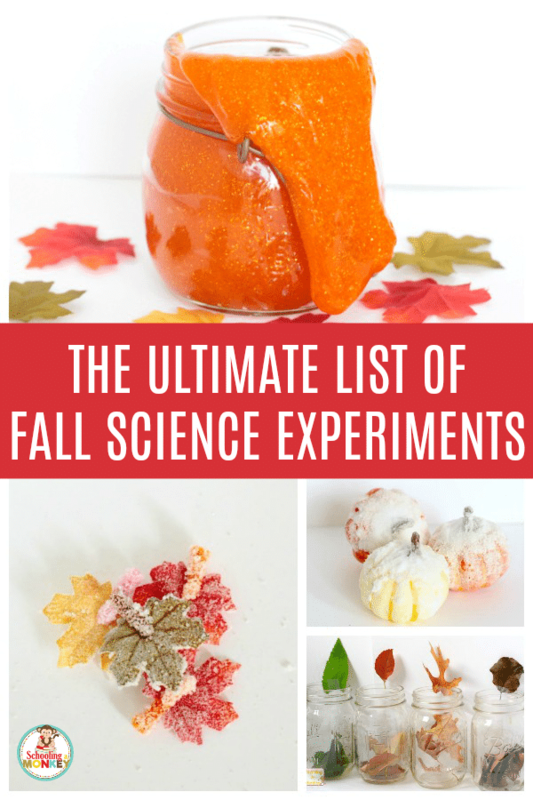 The following list of fall science experiments provide the best in science projects and science activities all with a fall theme! 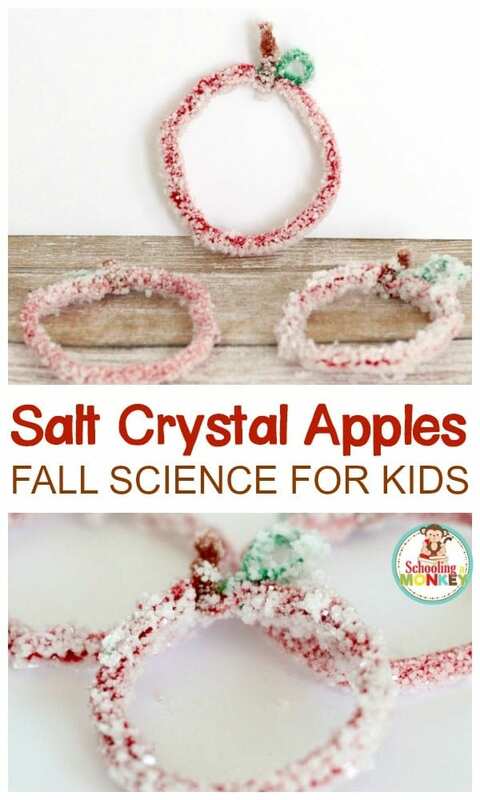 Kids will have a blast doing these science experiments for fall and learning all about the science behind these super simple science experiments for kids. Don’t forget to download the fall STEM challenge calendar for even more fall learning fun. 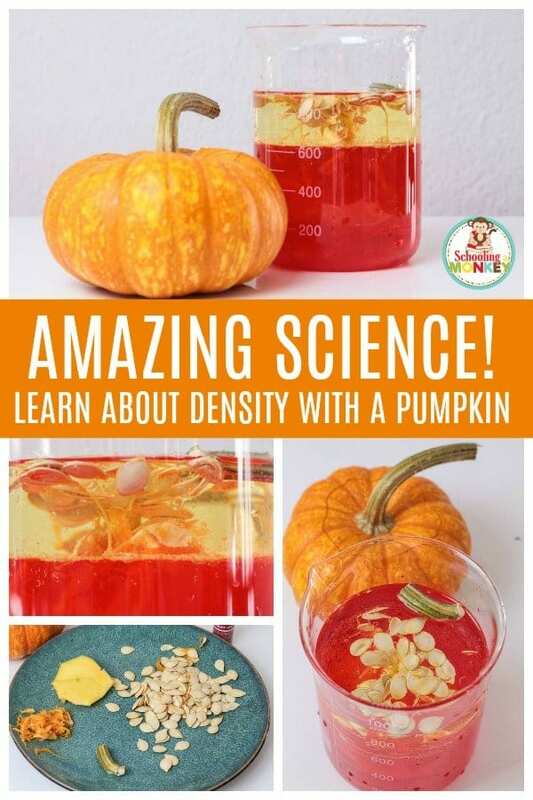 Learn about the density of a pumpkin with the pumpin density column experiment. 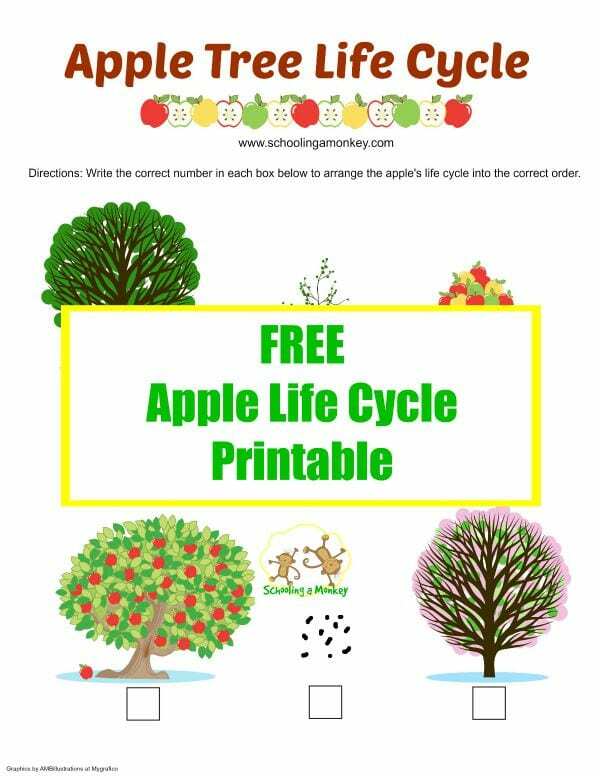 Learn about an apple’s life cycle with this apple life cycle printable. 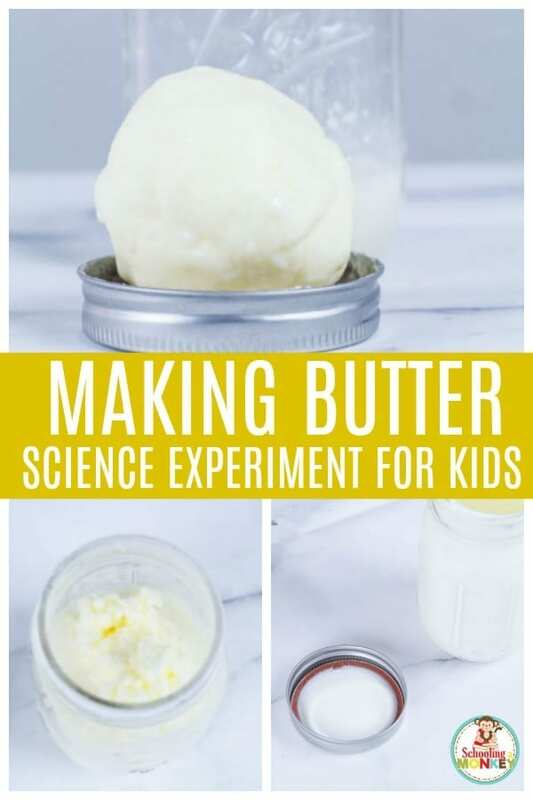 Learn about how butter is made with the making butter science experiment. 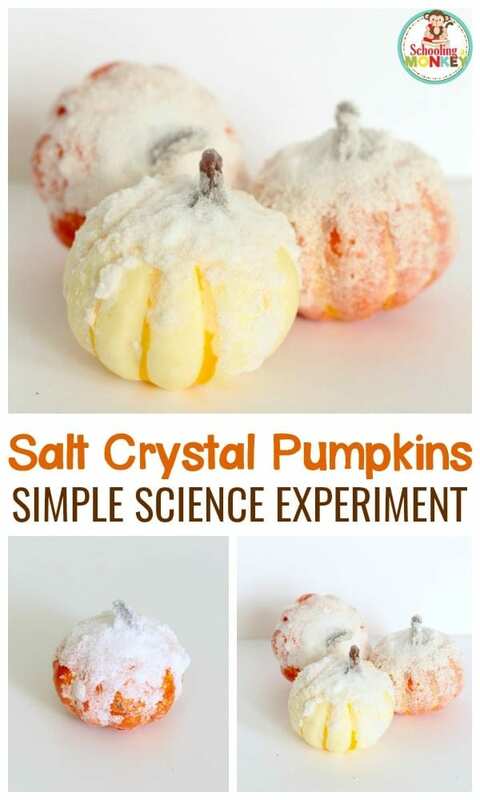 Try this science experiment for salt crystal pumpkins. 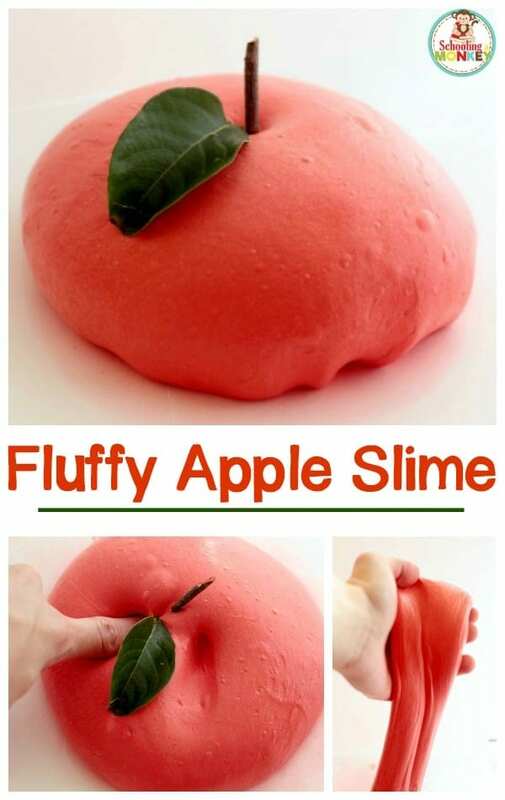 Make fluffy apple slime to celebrate the season and learn about polymer chains. 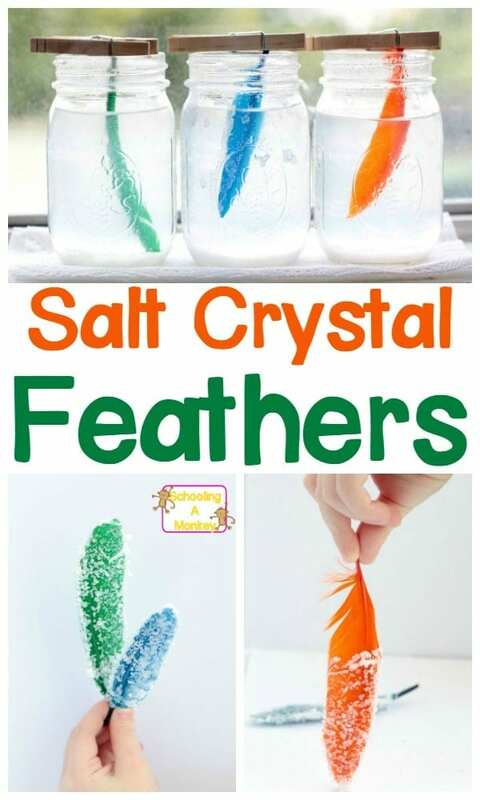 Transform feathers into crystals with the salt crystal feather science experiment. Take your crystal adventures to the next level with these salt crystal apples. 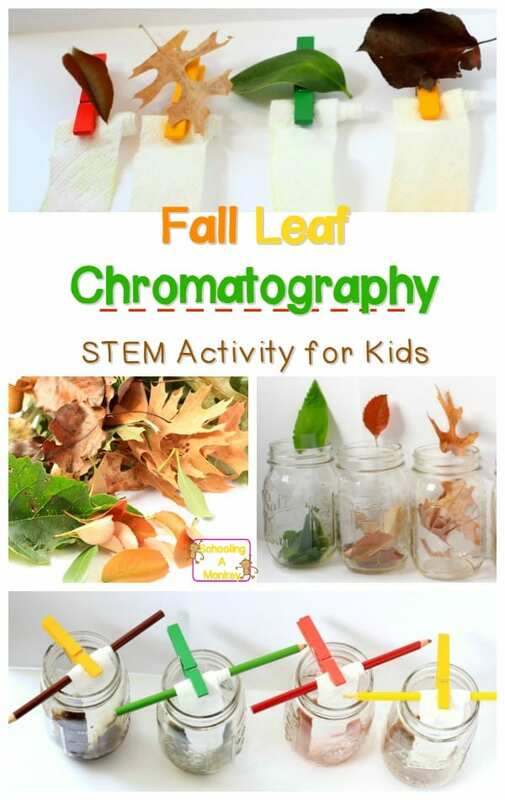 Learn about the colors in leaves in the leaf chromatography science experiment. Make glittery fall slime and learn about chemical bonds. 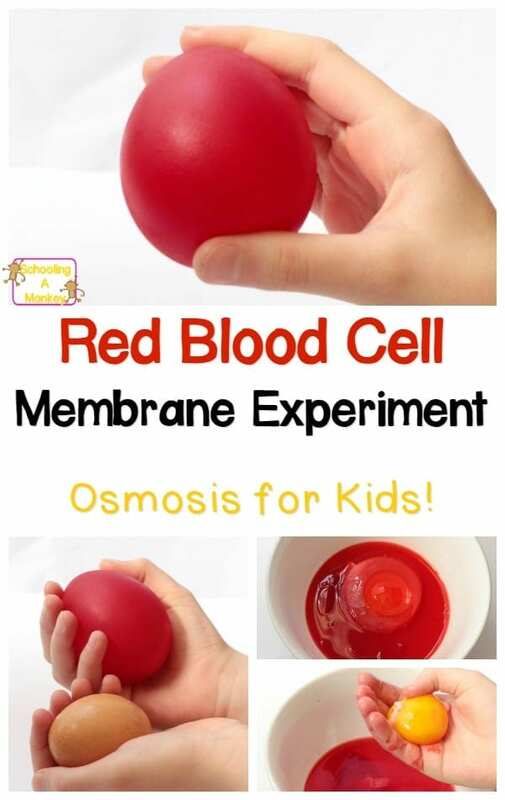 Get a little creepy with this osmosis for kids experiment. 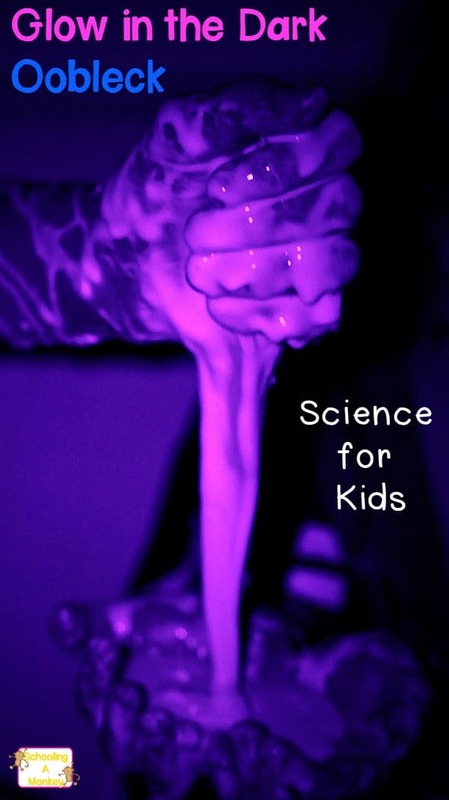 Make your very own glow in the dark oobleck and learn about non-Newtonian fluids. 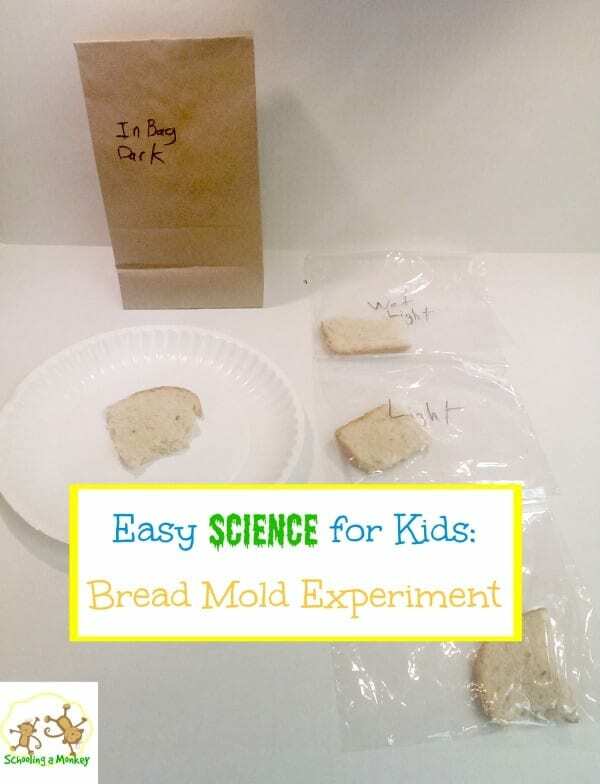 See how long it takes for mold to grow on bread in the classic bread mold science experiment. 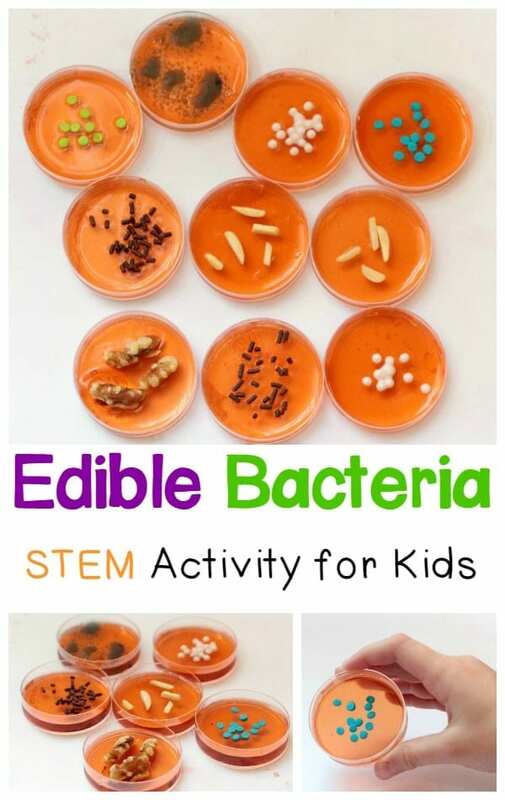 Learn about the types of bacteria when you make your own edible pitri dish bacteria. 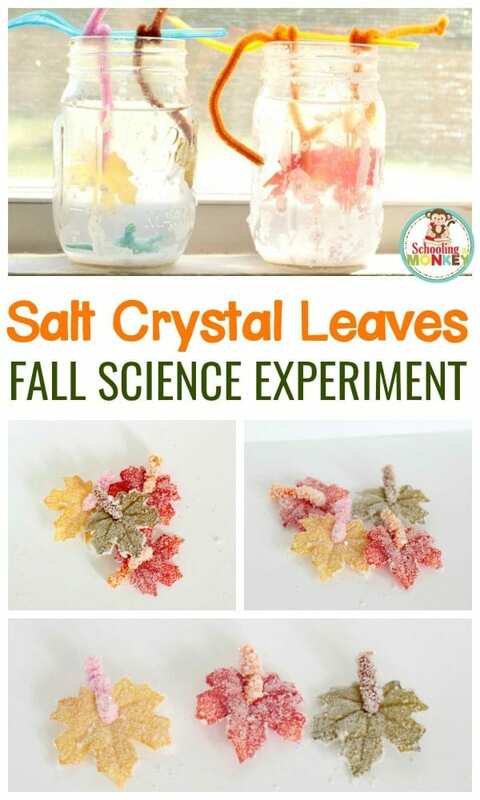 Transform ordinary leaves into beautiful salt crystals and learn about ionic bonds. 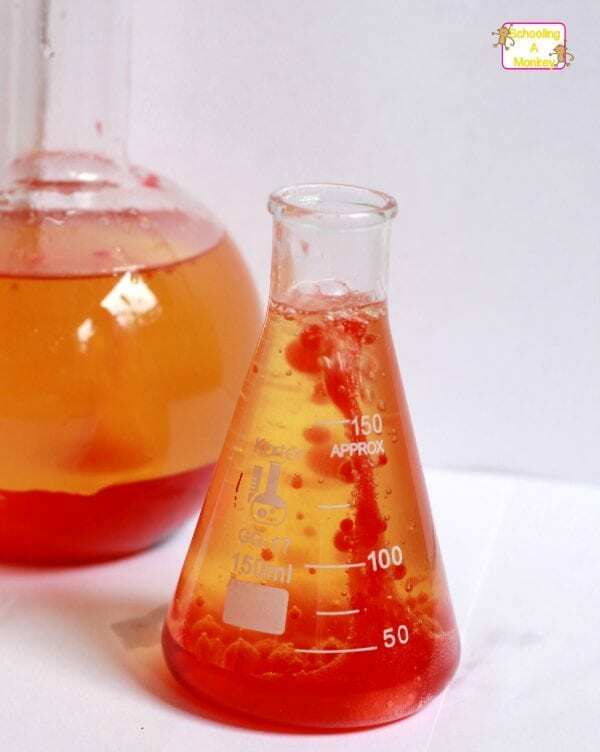 Make a fall version of the classic lava lamp science experiment. GET THE FALL STEM CHALLENGE CALENDAR! Click the image below to download your copy of the fall STEM challenge calendar!